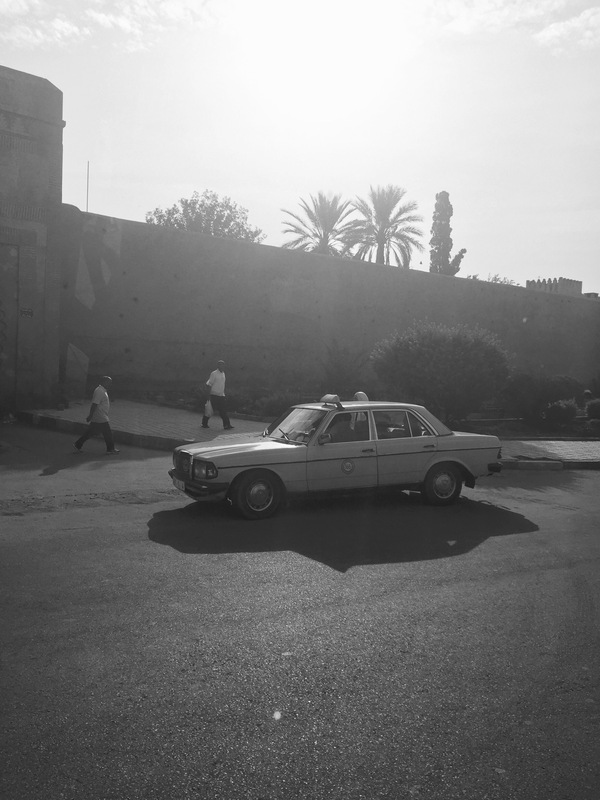 A woman hops into a grand taxi outside the Kasbah in Marrakech. Unlike the petit taxi, the grand taxi is not only useful for short trips across town, but also takes passengers on longer journeys to neighbouring cities and villages. They are often four-door Mercedes-Benz W123 sedans from the 70s and come in a washed out pastel kind of ochre colour. I am on route back from a trip to a small district in the Atlas Mountains and take the picture from the window of a moving car. Many are forced to make the one hour journey from rural to urban everyday for work. As I watch on, I can’t help but wonder where the woman is going, what her story is and whether she is travelling far.